They say a picture speaks a thousand words, so I'll be brief. 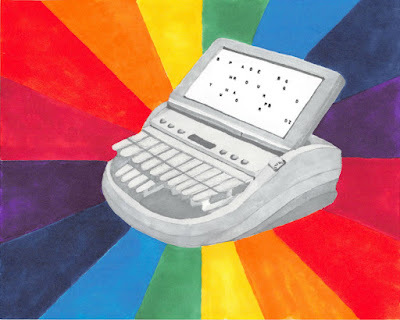 This marker drawing of a Diamante steno machine was completed in honor of Court Reporting and Captioning week, February 14-20, 2016. It represents the amazing opportunities that stenography offers the willing student and shows my appreciation for it and all other forms of art. This design is available for purchase as wall art, a tote bag, travel mug, or even a throw pillow, so get yours now!